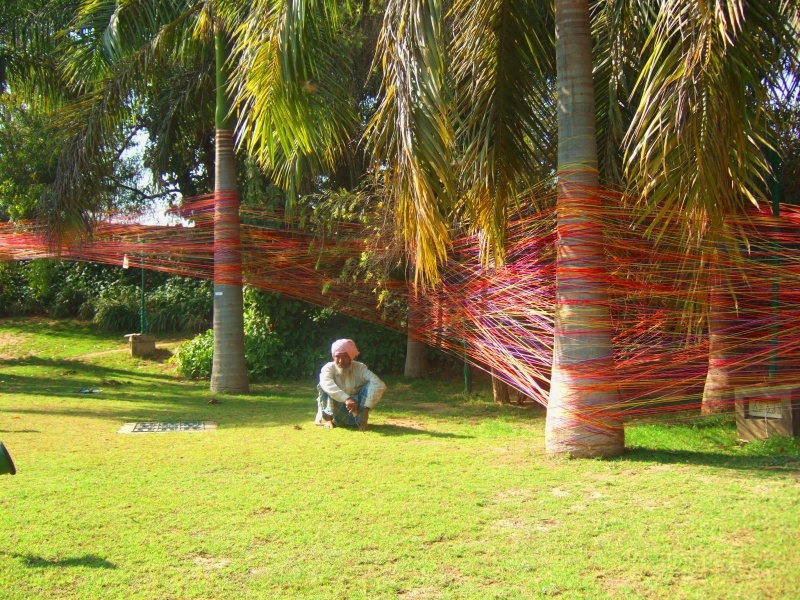 Palm Wrap - India is a site specific installation completed at Global Arts Village in New Delhi, India, in 2006. 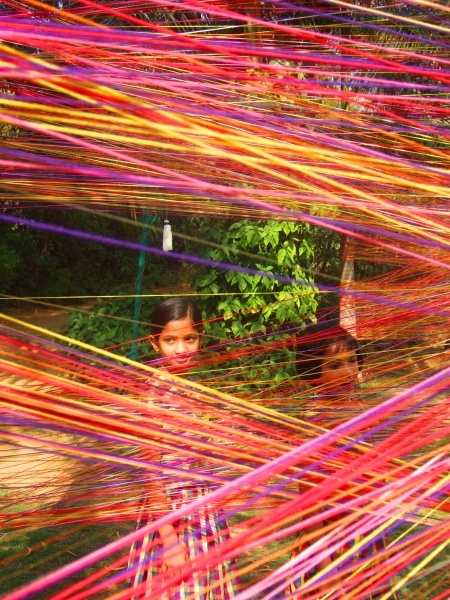 It simultaneously takes the yarn craft of women out of the domestic realm and into the public environment. 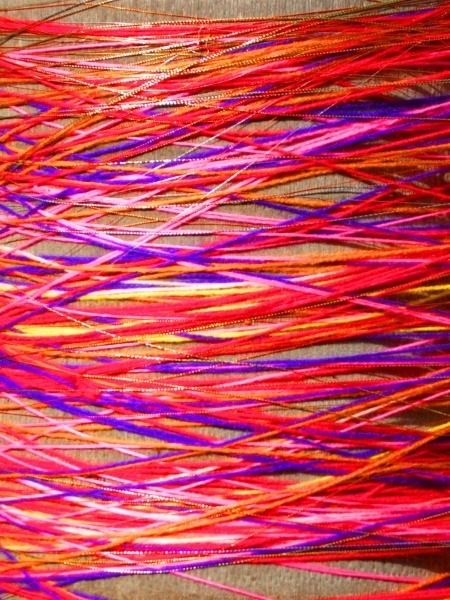 Utilized in the wrap were synthetic yarns from the USA as well as metallic threads from India. 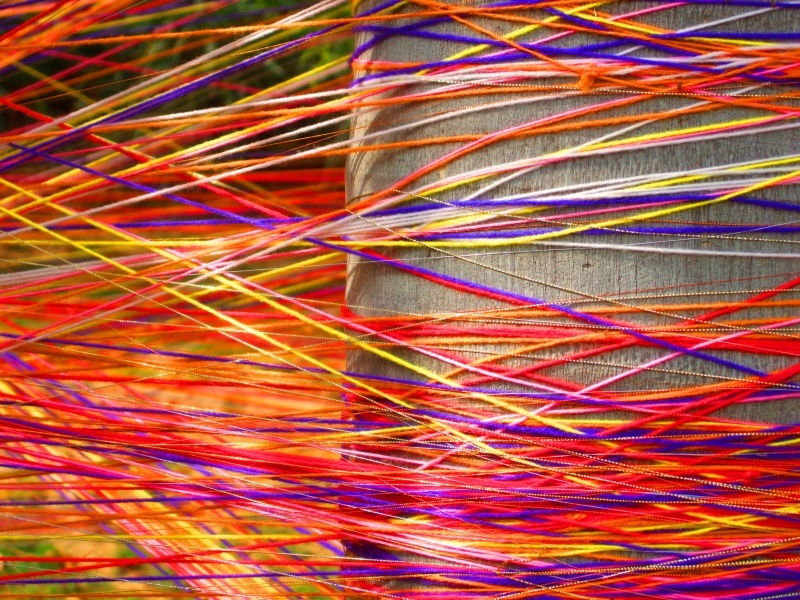 As the space was wrapped, the threads of the two cultures wove together into a single fabic. 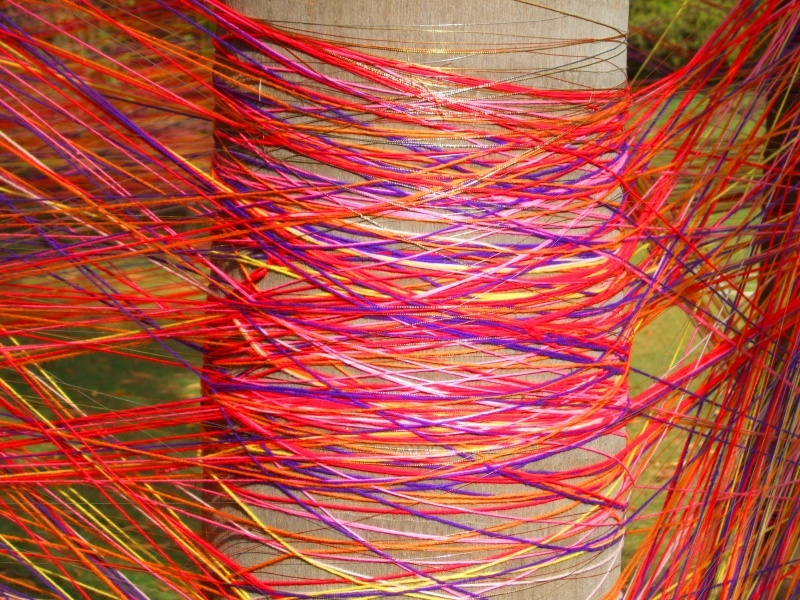 But while each strand of yarn and thread is beautiful, it also binds the trees, the environment, space itself. Therefore, this piece serves as an analogy about life. From the moment we are born, we are wrapped by influences imposed upon us by family, environment, and culture. 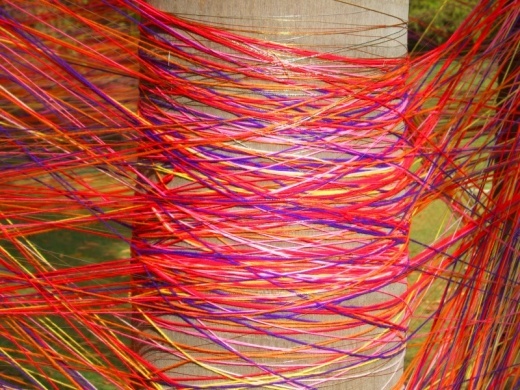 We are continually transformed by these threads of influence, but are we freed or bound by them? It is important to remember that although our cultural wrapping can be very comfortable, it is also confining, and it is the choice of each individual to either accept or reject the influences that encase her or him. 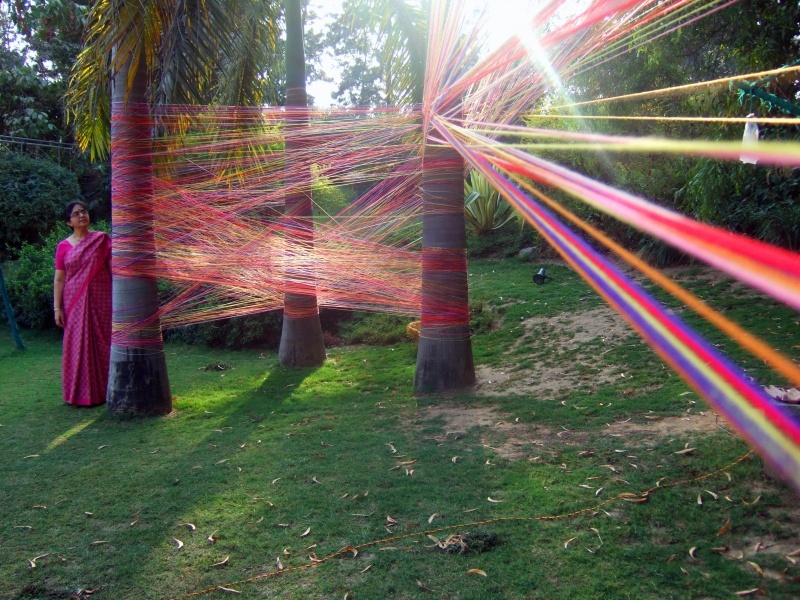 On a formal level, Palm Wrap - India is a visual discussion of line, light, texture, color, space, scale, and form. Also see, Confined Comforts, a space wrap installed in Canton, OH.